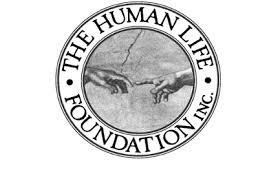 HumanLifeMatters: CANADIAN DOCTORS MUST REFUSE TO COOPERATE WITH SUPREME COURT'S ASSISTED SUICIDE DECISION. CANADIAN DOCTORS MUST REFUSE TO COOPERATE WITH SUPREME COURT'S ASSISTED SUICIDE DECISION. In his book The Nazi Doctors, author Jay Lifton wrote about the Nazi euthanasia programme. He pointed out that it was important to blur and ultimately destroy the boundary between healing and killing to convince German doctors to participate. The imagery of killing in the name of healing was an effective tool in achieving this end. Tens of thousands of people with psychiatric, developmental and physical disabilities were euthanized. It should be noted that the Nazi euthanasia programme had no legal force in law. In his comprehensive book THE THIRD REICH, Michael Burleigh wrote "... the 'euthanasia' programme never enjoyed legal sanction. 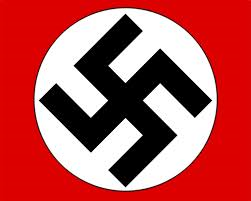 It was murder even in terms of the laws of the Third Reich." As of 06 February 2015, Canada cannot say the same. Canada's Supreme Court gave legal sanction to physician assisted suicide. The death parameters are so broad, so encompassing, that it will eventually translate into wide-spread euthanasia for physical or psychological pain, as history will attest. Canadian doctors of various faiths must stand together, use the courageous example of Dutch doctors during the Second World War, and refuse to participate in doctor assisted death killing. Steadfastly refuse to go along with the Canadian Supreme Court's odious decision to open wide the gates of assisted suicide and euthanasia. Refuse to support the CMA's softening position. Refuse to engage in assisted suicide or even be complicit by referring patients. 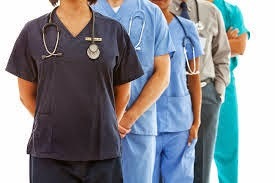 Advocate and militate within medical circles against the obvious implications of the Supreme Court's horrible decision. Exercise conscience rights now and civil disobedience if they are taken away. Stand resolute against euthanasia and physician assisted suicide. Refuse to cooperate or comply! God will be with you. Michael Burleigh, "THE THIRD REICH: A NEW HISTORY" (New York: Hill and Wang, 2000) p. 383.